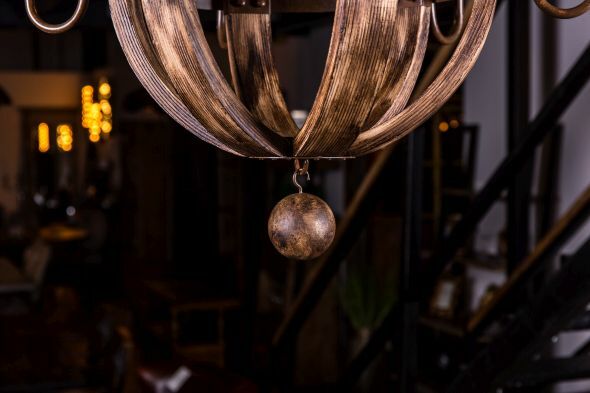 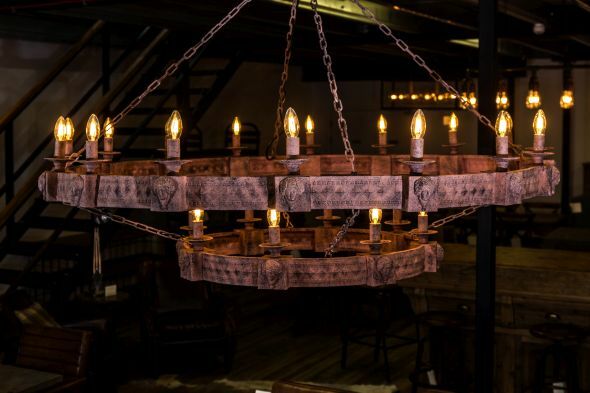 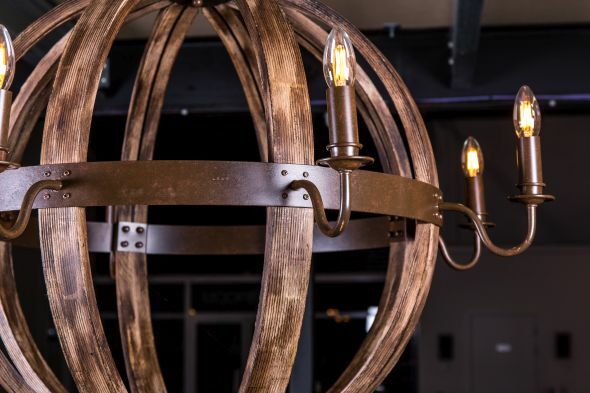 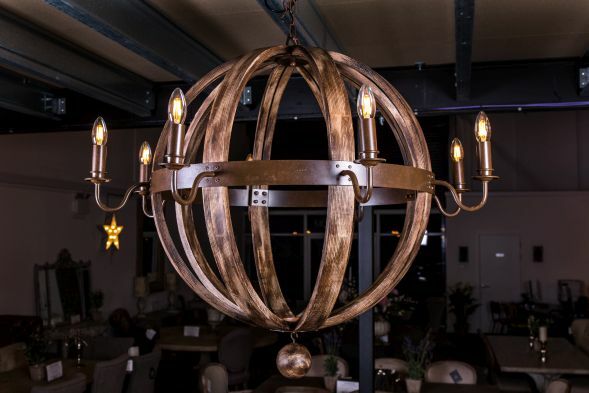 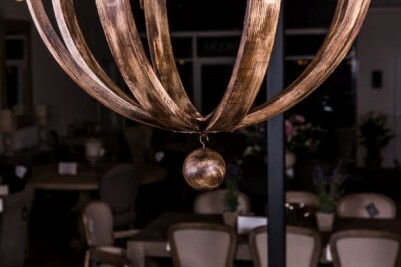 This wooden ball chandelier is available in two sizes. The light fitting comes from our range of contemporary ceiling and wall lights, and features an aged metal and steam-bent timber structure. The larger light has a total of eight bulb fittings in a candle holder style, with the smaller light having six. 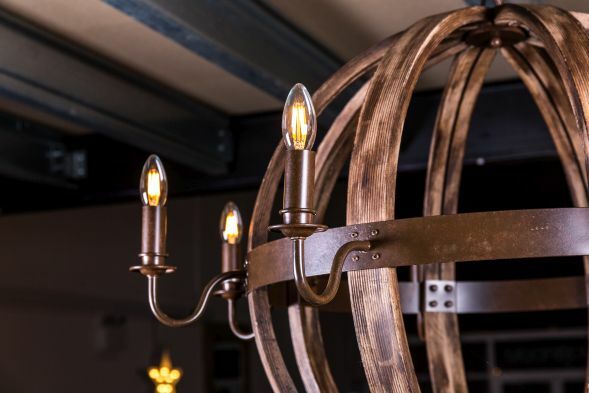 The bulb fittings have a lovely aged copper/bronze colouring, giving these lights an industrial appearance. 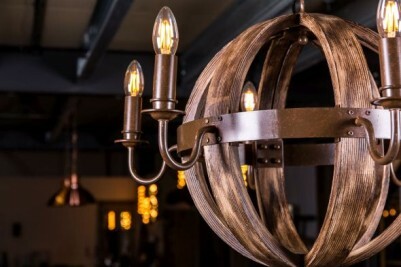 Ideal for any large living room, hallway, bar or restaurant. Please note that the large light does require a small amount of assembly. 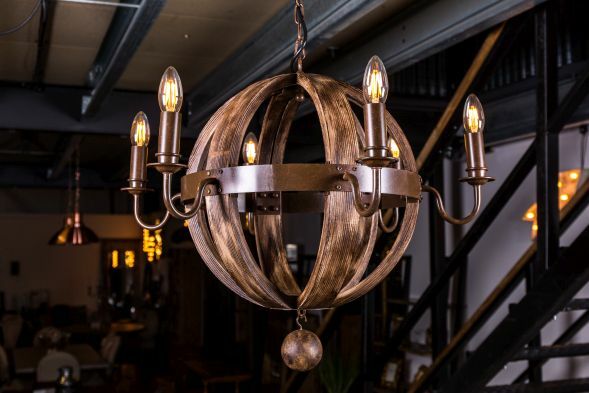 The price is for one light, but we do have more available. 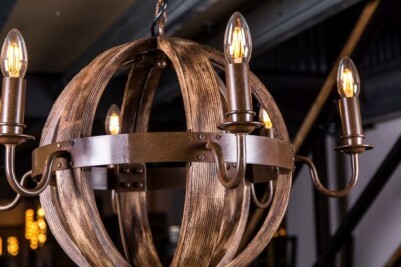 Please also note that bulbs are not included. 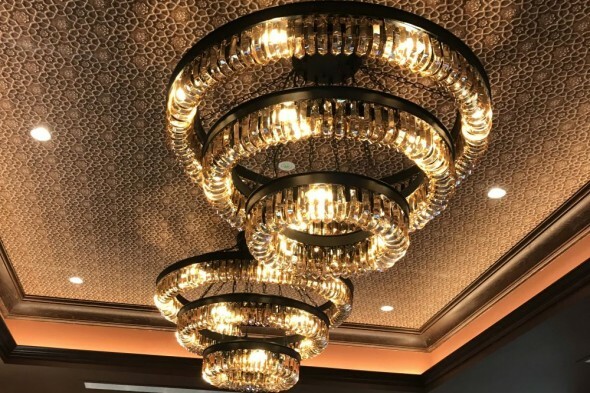 We do recommend that you have these ceiling lights professionally installed by an electrician. The height is for the fitting only, this measurement does not include the chain from the ceiling to the top of the fitting.